Our super low cholesterol days are gone. These days, we aim for cholesterol in the 120 to 140 range. That’s easy to achieve when one follows The CR Way to Great Glucose Control meal plans. In fact, we’ve had several Great Glucose Control participants who started the classes while taking a cholesterol-lowering medication. After following the program and discussing it with their doctor, they decided to let their medication go: Their cholesterol had ceased to be a problem. Why does this happen? Because when one controls glucose levels well, the body shifts its metabolism from fat storage to fat burning, and cholesterol formation is blocked. Before you stand up and cheer remember this: New evidence indicates that microbes (including common herpes and pneumonia viruses) can remain dormant in your brain for decades. As you get older, your immune system may weaken – opening the gate for these pathogens to damage your neurons, making you susceptible to Alzheimer’s and other age-related diseases. For more, become a free Healthy Start member and log in to LivingtheCRway.com to read this blog post: Yeast found in the Brains of Alzheimer’s Patients. 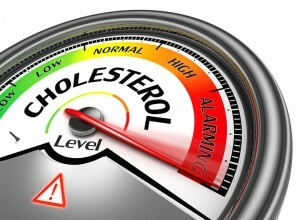 What cholesterol levels to aim for? On this Saturday afternoon, March 26, at 4:00 (ET) Dr. Mike Lustgarten will hold a special teleconference that will help you optimize your cholesterol levels. Normally, this teleconference would be available only to Contributing Members of LivingTheCRWay. But if join as a Great Glucose Control participant, it’s yours as a bonus. We want to be sure that you understand the relationship between glucose and cholesterol and have the chance to take full advantage of this unique opportunity to improve your health. What glucose levels are best? If you are a new Great Glucose Control subscriber, we know that you don’t want to wait. So, we’ve scheduled a special Great Glucose Control teleconference for this Sunday, March 27, at Noon (ET): Introduction to The CR Way to Great Glucose Control, 2016 and Answering your Questions. The Great Glucose Control classes will begin during the second week of April. Watch your CR Way eNewsletter for the announcement. 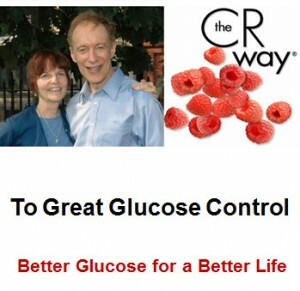 Watch the CR Way to Great Glucose Control Introduction.